Although dogs are most often known as “man’s best friend,” dogs can do so much more and thrive when they are put to work. With the right training, a dog can use his skills and abilities in a canine career. Highly trained rescue dogs use their incredible sense of smell to locate buried avalanche victims fast. Most canine careers take advantage of the fact dogs are so loyal and loving. Options for canine careers include working for law enforcement as well as serving as assistance and therapy dogs. Some dogs are even trained to take advantage of their most specialized skill — their strong sense of smell. Those dogs help sniff out bombs, solve arson crimes and find people buried in avalanches. Dogs are extremely important in many different branches of law enforcement. Probably the first breed you think of when you think of dogs with a canine career in law enforcement are German shepherds. 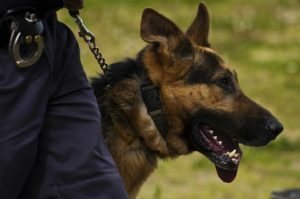 Used in both the police K9 units and in the military, German shepherds are the most commonly chosen general purpose dogs in these fields across the world. German shepherds are routinely used in law enforcement jobs. One German shepherd can be trained for several different purposes, such as defense, criminal apprehension, drug and explosive detection, and search and rescue. Other breeds are trained more extensively in a single skill, usually in some kind of detection, and they tend to be breeds with excellent noses and a high drive for toys or food. Some of the other breeds chosen for a canine career in law enforcement include beagles, cocker spaniels, springer spaniels, Labrador retrievers, basset hounds, and more. You can find these dogs working in airport customs units, border control, and general homeland security. Service dogs can be trained to warn of dangerous conditions including impending seizures and low blood sugar. Dogs also can be trained to provide assistance such as fetching items or help calm down people with PTSD. 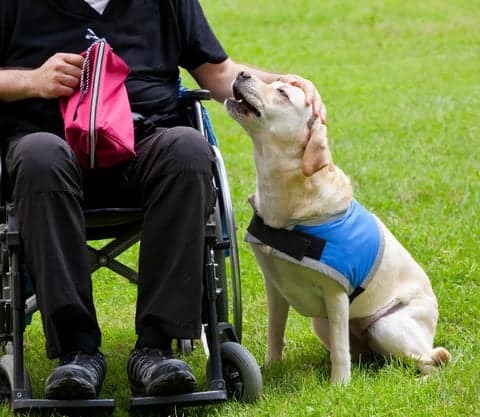 Service dogs have been an indispensable asset to helping people with various disabilities become more independent for a very long time. One of the most common service dogs are seeing eye dogs, and they have been working in the United States for almost a 100 years. The first seeing eye dogs were German shepherds, though now it’s far more common to see Labrador and golden retrievers trained as seeing eye dogs. 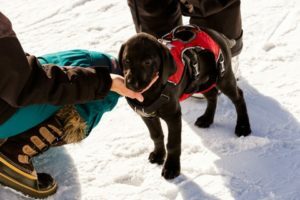 Though most people think first of seeing eye dogs when think of service dogs, there are so many more canine career services that dogs are being trained for. There are dogs specially trained for seizure alerting for people with epilepsy, low blood sugar alerting for people with diabetes, and dogs trained to calm down people with PTSD. People with mobility issues also benefit greatly from service dogs who can do things like open doors, push buttons on elevators and crosswalks, and grab things that are difficult for their handlers to access. 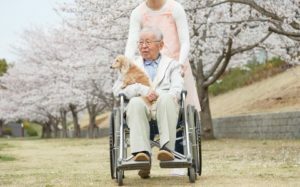 As people have learned more about the healing nature of animals is recent years, animal-assisted therapy and activities have become major assets in a number of therapy settings. Dogs certified to participate in animal assisted therapy aren’t chosen based off their breed but by their calm temperament. Therapy animals have been used for helping people with autism, rehabilitation efforts for inmates, and even help kids with developmental delays. Therapy dogs also participate in activities like visiting hospitals and hospices to help boost the mood of people suffering from illnesses, which has proven to be beneficial to energy and healing in patients. College campuses that have been trying harder to address the mental health needs of their students have also taken to bringing therapy dogs on campus during high stress times like finals week. Dogs certified to participate in animal assisted therapy aren’t chosen based off their breed but by their temperament. It is essential that a dog that is participating in activities that should be calming and therapeutic remain calm, even if there is a lot of excitement in the situation. Typically, dogs certified as therapy dogs must pass the canine good citizen test before they can be considered for certification. There are other canine career jobs and activities dogs can be trained to do and participate in, it’s hard to name and address them all. But what can be said is dogs are amazing and talented, and with the right training and touch, they can be invaluable assets to many different canine careers. Their love, loyalty, and eagerness to please make them not only great pets, but fantastic workers. Mila Sanchez is a writer with a BA in English Linguistics living in beautiful Boise, Idaho. Her ambitions include traveling the world, studying languages, and taking pictures of her dog, Baymax. Connect with her on Twitter and Instagram!